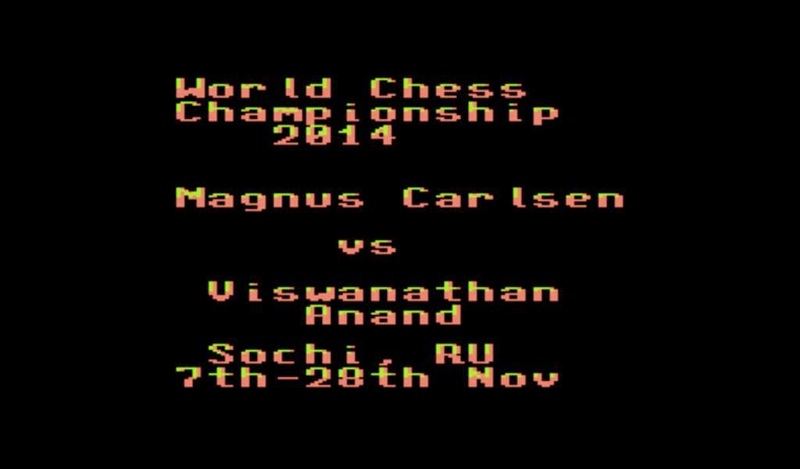 This new chess software replays World Chess Championship 2014 games between Magnus Carlsen and Viswanathan Anand. 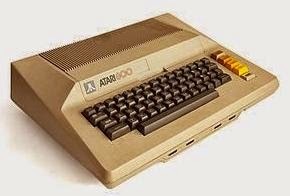 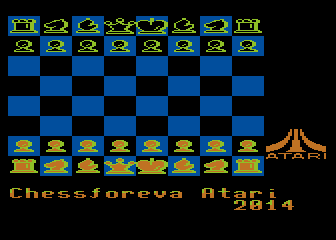 Use atari emulator (Altirra, Atari800win, Atari800), open ChessAtr.xex executable object file. 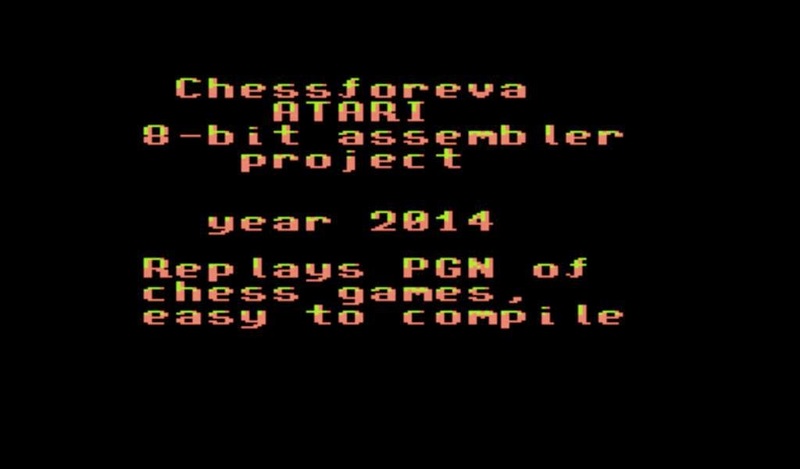 Compiled on MADS 8-bit assembler for CPU 6502.